If you’ve rooted your Droid and installed a Froyo ROM plus one of the Flash 10.1 betas, then we’ve got a little trick for you. 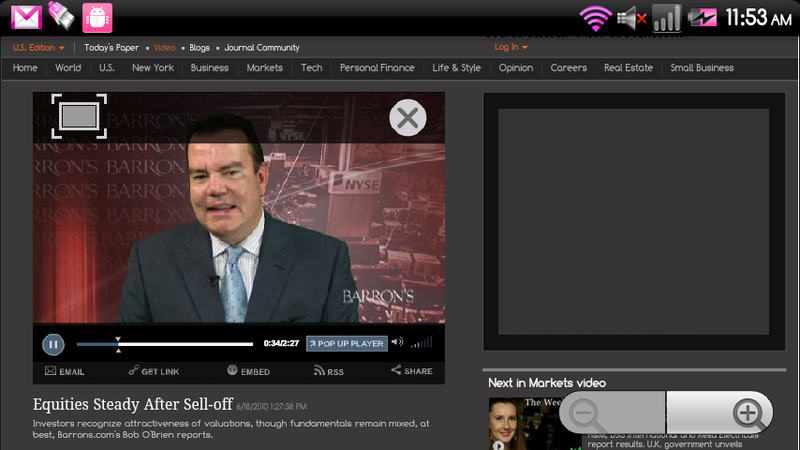 While watching a Flash video on any website, you can long press on it, prompting an option to go to full screen. As you can see from the sceenie above, the grey box in the top left of the video is what it should look like. And if you decide you don’t actually want full screen, you even get an “X” to close out. Sweet right? Any other Flash or Froyo tips out there that we can’t live without?